If obese when diagnosed, women with certain breast cancers face a higher risk of recurrence — but they still have time to change that outlook. The idea that being overweight can lead to poor health is more than conventional wisdom, and it’s certainly true when it comes to breast cancer. If women are obese when they are diagnosed with certain types of operable breast cancer, they face a higher risk of the disease recurring somewhere else in their bodies, evidence shows. Specifically, this is true for women with hormone receptor (HR)–positive, HER2-negative disease, and as part of their treatment plans, those patients should be getting help from their oncologists to better manage their weight. In fact, if women change their diet and exercise habits as soon as they learn they have breast cancer, studies show, they may well have enough time to reduce their heightened risk before they experience a recurrence. So says Joseph A. Sparano, associate director of clinical research for Albert Einstein Cancer Center and chief of the Section of Breast Medical Oncology at the Montefiore Einstein Center for Cancer Care, in New York. Sparano, who has extensively studied the impact of obesity on patients with breast cancer, shared these conclusions during a presentation at the 14th Annual International Congress on the Future of Breast Cancer® hosted by Physicians’ Education Resource (PER®), a sister company to CURE, in Huntington Beach, Calif., in July. Obesity is measured via body mass index (BMI), calculated using a person’s height and weight. A normal BMI is in the range of 18.5 to 25 kg/m2. Obesity, meanwhile, is conventionally defined as a BMI greater than 30 kg/m2, but Sparano notes that women with a BMI in the overweight range of 25 to 30 kg/m2 also appear to have an increased risk of recurrence compared with women who have a normal BMI at diagnosis. 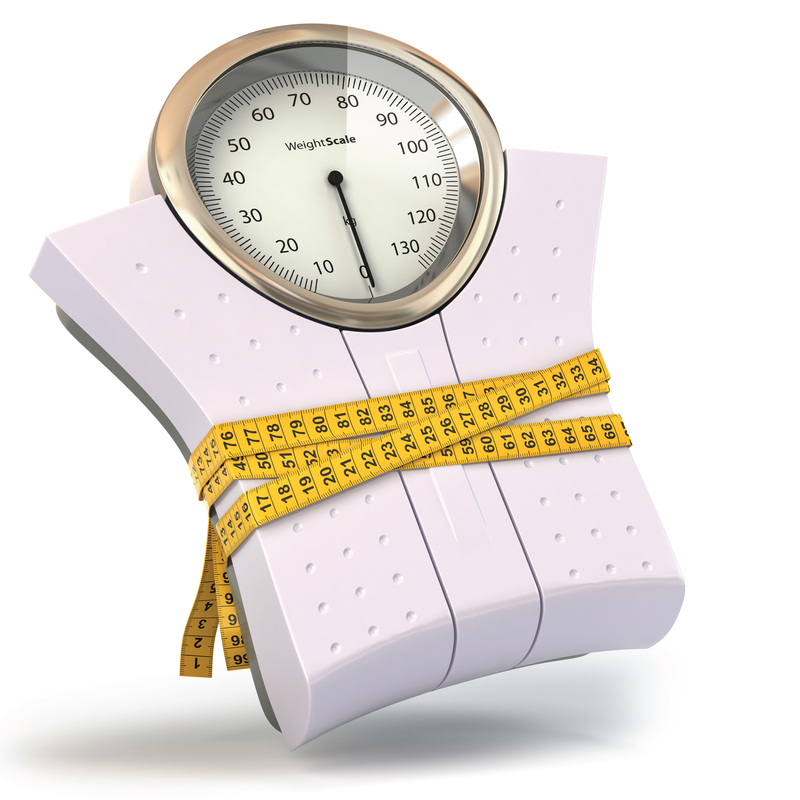 Since obesity is a major health problem in the United States, it is important for physicians to incorporate weight issues into disease analysis and treatment regimens, Sparano says. “More than a third of adults — 72 million individuals — are obese. The obesity rates have increased two-fold in adults and three-fold in children since 1980,” he notes. Oncology researchers are starting to focus on ways to address the impact of excess weight for women with breast cancer. The Alliance for Clinical Trials in Oncology is initiating a randomized trial in women who have stage 2/3 breast cancer diagnosed within 12 months, are overweight or obese, and have completed surgery followed by systemic chemotherapy and radiation. The women will be randomized to a health and education intervention with a two-year telephone-based weight loss intervention, Sparano says. Sparano advises that physicians take steps now to help patients with their weight, such as recommending dietary and lifestyle interventions, even though such guidance is “not normally within the scope of activities of medical oncologists.” At the same time, patients are welcome to initiate these conversations if their doctors don’t. The interventions Sparano advocates include a weight-management program modeled after the Diabetes Prevention Project that has been shown to significantly reduce the risk of the development of adult-onset diabetes in obese patients; it includes caloric restrictions and exercising at least two-and-a-half hours per week, or about 30 minutes five days per week. Sparano cites a study published in the Journal of the American Medical Association on July 15 indicating that five hours a week of exercise is even more effective in reducing fatty tissue. A number of factors can influence outcomes and treatment decisions in patients who are obese, Sparano says, including differing disease characteristics, comorbidities and differences in adjuvant (post-surgical) therapy administration. He addressed recent findings demonstrating that heavier patients need more chemotherapy in order to achieve the same results as those who are thinner, despite a previous trend toward capping doses at certain amounts due to concerns about side effects. Given the multiple factors that could potentially contribute to worse outcomes in patients with breast cancer who are obese, Sparano and his fellow researchers attempted to disentangle these factors by taking a fresh look at the E1199 trial, which evaluated doses of chemotherapies that are in the taxane family, as well as dosing schedules of the drugs, for 4,950 patients with breast cancer. “Our objective was to determine the relationship between BMI, clinical characteristics and clinical outcomes,” Sparano says. Investigators looked individually at different breast cancer subtypes: hormone receptor (HR)-positive, HER2-negative, HER2-positive and triple-negative. Patients were relatively healthy and were required to have normal cardiac, liver and pulmonary function. “When we looked at the characteristics of the obese versus nonobese subjects, we found that the obesity was associated with postmenopausal status, older age, black race and somewhat greater use of breast conservation therapy. We found no significant differences in other characteristics, such as median tumor size, nodal status, estrogen receptor (ER), progesterone receptor (PR) or the type of endocrine therapy administered,” Sparano says. Drugs administered included doxorubicin, cyclophosphamide, docetaxel and paclitaxel, Sparano says, and were dosed based on body weight. The drug delivery and toxicity patterns were similar for all drugs except for paclitaxel, where there were marginally more dose reductions and neutropenia among the obese group. There were also no substantive differences in administration of, or compliance with, adjuvant hormone therapy. Despite the lack of any substantial differences in disease characteristics at presentation or in chemotherapy delivery, Sparano notes that, in the HR-positive, HER2-negative group, obese patients had worse outcomes, including a 23 percent higher risk of recurrence, the appearance of cancer in the other breast, the emergence of another cancer or death from something besides cancer, as well as a nearly 50 percent higher overall risk for death from cancer or any other cause. “We didn’t see this in patients with HER2-positive or triple-negative disease,” Sparano says. Additional studies were reviewed to confirm these findings and, again, Sparano and his fellow researchers found worse outcomes for both disease-free survival and overall survival among patients who were obese. The association between obesity and poorer outcomes persisted in a long-term follow-up analysis of the E1199 study that Sparano and colleagues published earlier this year. After a median follow-up of 12.1 years, the strong association between obesity and poor outcomes specifically in ER-positive, HER2-negative disease persisted. Moreover, Sparano found that obesity was associated with an elevated risk of recurrence for approximately three to eight years after diagnosis. “This raises the possibility that there may be sufficient lead time between diagnosis and recurrence to permit currently recommended dietary and lifestyle interventions to have a significant impact in reducing the risk of recurrence,” the researchers wrote. During his presentation, Sparano noted that the association between obesity and comparatively poor outcomes also was demonstrated in a study reported at the 2014 Annual Meeting of ASCO. The analysis of data from 70 clinical trials found that, among 60,000 women with ER-positive breast cancer adjusted for tumor characteristics, premenopausal obese women had a 34 percent increase in the risk of recurrence and death compared with women of normal weight. By contrast, postmenopausal women in the obese and nonobese categories showed very little difference in recurrence likelihood. The same study found no association between weight and outcomes among 20,000 women with ER-negative disease. Factors that may be associated with fatty tissue that can drive breast cancer recurrence include metabolic alterations such as higher estrogen, insulin and leptin (important for appetite and energy homeostasis) and lower levels of adiponectin (important for glucose regulation and lipid metabolism). Also, raised levels of inflammatory cytokines, such as IL-6 and NF-kappaB, can affect breast cancer physiology, Sparano says. He notes that this was revealed in a 2012 study published in Cancer Discovery, which indicated that breast inflammation, typical of obese women, leads to higher production of the enzyme aromatase, which fuels estrogen production. “Other studies have shown a relationship between obesity and recurrence, and resistance to endocrine therapy,” Sparano says. This was demonstrated in an exploratory analysis of the ATAC trial, which indicated a significantly higher risk of recurrence over time for high-BMI, postmenopausal women who received anastrozole, tamoxifen or a combination. The aromatase inhibitor anastrozole was compared with tamoxifen for five years in 4,939 postmenopausal women with HR-positive localized breast cancer. Side effects and recurrences had restricted the success of standard adjuvant endocrine treatment. After the nine-year point, roughly 26 percent of patients with a BMI higher than 30 suffered recurrences, versus around 18 percent of women with a BMI less than 23. Recognizing that there is a definite link between obesity and breast cancer recurrence, efforts can be made to help patients lose weight, including pharmacologic, dietary and lifestyle interventions, Sparano suggests. A diabetes prevention project was successful in achieving a 7 percent average weight reduction in a population of high-risk individuals who were randomized to a lifestyle intervention that included a low-fat diet and 150 minutes of exercise a week. Those patients did substantially better than others in the trial, who received education plus placebo or education plus the anti-diabetic drug metformin. “The lifestyle change was effective at all ages, especially in patients over the age of 60,” Sparano says. A hypothesis that metformin could reduce the risk of breast cancer has been tested in the MA.32 trial, whose full results have not been released yet. The trial targeted women with early-stage breast cancer who had completed adjuvant chemotherapy and were randomized to receive metformin for five years or a placebo. Although the main results are not out, a metabolic substudy has revealed that “significantly” greater reductions in weight, BMI, glucose, insulin levels, leptin and C-reactive protein (levels of which rise in response to inflammation) were achieved in the metformin arm. Other trials involving low-fat diets have been promising in terms of weight loss, Sparano says, adding that the Mediterranean or low-carbohydrate diet was more effective in achieving weight reduction than a low-fat diet.